We're excited by simple, beautiful design. In a past life we've designed award winning products, acquired companies, managed supply chains, engineered systems, and set market agendas for some of the world’s biggest, and smallest, companies. Glowpear™ is the culmination of this experience. The fusion of beautiful design and community. Products that delight. Shared experience. Ideas that bring us together. Lupazco is your professional partner for surfacing and walling solutions in Australia. Our solutions include artificial grass for a wide range of applications, as well as contemporary and customized floor and wall tiles. We work with architects, landscape architects and designers to create ambitious and visually appealing architectural spaces for the public and private sector. Our extensive experience in the architectural space allows us to specify and recommend artificial grass and wall and floor tile solutions that perfectly match the requirements of your project. By working with Lupazco you will have access to products that are beautifully designed, yet incredibly functional, creating a result that will highly satisfy your customers. 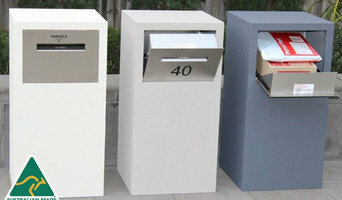 The stylish and innovative Deliver-Eze parcel letterbox range securely accepts online shopping, courier and Australia-Post parcel deliveries, as well as regular mail. With the perfect blend of both style and substance, it features an anti-theft chute that maximises parcel capacity and allows multiple deliveries into a locked, rear-access storage compartment. The upmarket Deliver-Eze range of parcel letterboxes has plenty of kerb appeal, accentuated by premium quality marine grade (316) stainless steel with the option of custom engraved house numbers. 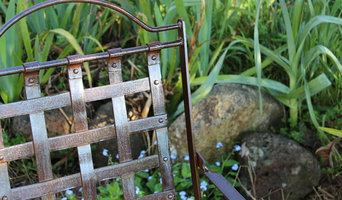 We sell old things which may be repurposed, and create handcrafted articles made from iron and recycled wood for your home and garden. We are inspired by old French Provincial garden furniture in natural materials and finishes which look and feel beautiful and stand the test of time. I am a stay at home mum of 3 young, gorgeous boys and a wife to a fabulously supportive husband. They all light up my world and inspire me to be the best that I can be. We are a family that believes in looking after our planet and ourselves and we all love getting our hands dirty with a little bit of gardening. Little Urban Farmers was developed on an idea that everyone should be able to grow fresh produce where ever they live, work or play and what ever their capabilities and help lessen the impact on our environment. Designed by myself, Hanging Gardens are an Australian owned and manufactured flat packed pot for growing herbs in the kitchen,providing a new, convenient way to store, grow and use fresh produce every day. 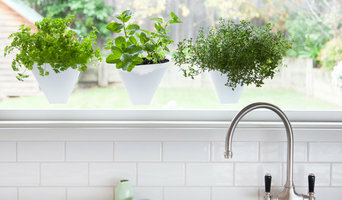 Little Urban Farmers ‘Hanging Gardens’ are a space saving, environmentally friendly and cost effective solution to grow herbs inside a kitchen window. Designing and Making every Garden Fab and Modern! At rock & stone, we live and breathe outdoor design and are committed to helping you create the perfect pool, garden or landscape solution. Get inspired by our products and projects, and talk to us about how we can help coordinate all the elements of your project, from paving, flooring and walling to screening, accessories, furniture and beyond. Nunawading is the stone specialist department of Col Smith Garden and Building Supply. We specialise in standard and custom paving, flooring, walling and stock Bluestone Pavers, Granite Pavers, Sandstone Pavers, Travertine Pavers, Limestone Pavers, Wall Cladding, Tiles, Bullnoses, Pool coping available and much more all for immediate pickup or delivery. We can help you custom design your stone requirements to create the wow factor you have been dreaming of! Pickup at our Nunawading yard is available and we also deliver Australia wide! No job is too big or too small. Call or visit us today to view our huge range of products! Col Smith Garden and Building Supply is a family owned and operated business. For over 50 years we have been providing Melbourne with the best customer service and have grown to become one of Melbourne's Largest one stop shop for building and landscaping supplies. We supply Melbourne and surrounding suburbs from our three yards at Doncaster, Nunawading and Highett. Greenlines Gardenware delivers to you FormBoss™ steel garden edging, available in Galvanized, REDCOR® Steel & ZAM® in 8 different profile heights and 3 different gauges (not all available in all finishes ) there is bound to be the right size for your project. Whether you use FormBoss™ for edging paths, driveways or your garden you will end up with super strong yet shape-able clean uninterrupted lines that stay in place and look great for years to come. You can always rely on Greenlines Gardenwares great service 6 days a week Australia wide! 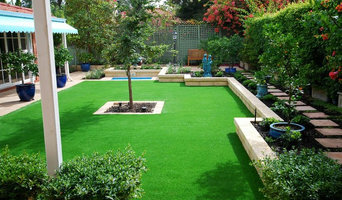 Many councils have started using FormBoss™ instead of an alternative edging as well due to its longevity and great look. Places of installation include Federation square (Melbourne), Sydney, Melbourne and Adelaide Botanical Gardens, Parliament house (Melbourne), Rod Laver Tennis Centre (Melbourne) the new cruize liner depot in Cairns, Crown Casino Melbourne and Government House Sydney to name a few. 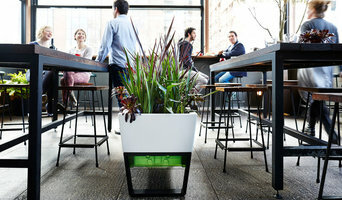 Garden Beet are skilled designers & artists who use real and artificial plants to transform homes and places of work. We create green and lush environments that have ZERO maintenance Garden Beet is one of Australia's premium vertical garden designers and suppliers. Garden Beet's smart installation team work with speed and discretion. It has has worked in Europe, Middle East and Australia with architects, shopfitters, landscapers, education institutions, aged accommodation centres, builders, retailers and homeowners. We have installed vertical gardens at Chelsea Flower Show in London, provided expert advice to BBC Gardeners World in Birmingham UK. Now in Australia Garden Beet has installed vertical gardens in Melbourne, Australia for Miele, Mondelez International and supplied artificial vertical gardens to Westfield and Costa Group to name a few. CBD Florist is located right here in Melbourne’s CBD, the heart of the city. This allows us to handle all of our deliveries to most Melbourne areas. It doesn’t matter if you’re shipping to Pakenham or Richmond – we do same day delivery for the low price of just $10! We provide same day delivery Australia-wide. Order now for your delivery today, tomorrow, or any day of your choosing. With our broad experience and gorgeous bouquets, we’ll help you make someone’s day in a matter of hours! If you need a Melbourne florist, we’re the sure choice. Choose one of them wisely or contact us to customise a flower arrangement for you to even make it more meaningful. We sell Bamboo plants. We offer quality Gracilis Bamboo in a range of pots sizes for your landscaping needs. Outdoor design is an investment. Its worth getting it right with the right bamboo variety. Our bamboo does not invade. It's the ideal one for Melbourne! We supply premium outdoor paving such as Bluestone, Granite, Travertine, Porphery Sandstone and Limestone. We also have a huge range of Dry Wall and Free form stone to cover your water feature, retaining wall or house façade. At Canterbury Stone, we don't just sell it, we can also offer an installation service. Ceramics for Colorful People Our mission is simple, to create original, beautiful and functional objects that accentuate and add life to all types of spaces for people to live and interact. Through the addition of inspiring and crafted objects, we can enhance the personality and liveability of our home and work environments. At Angus & Celeste, originality and creativity are at the core of our brand. All Angus & Celeste designs are developed in house and are completely unique. In an increasingly fast paced world with a ‘quick release’ mentality, we aim to create products that are considered and thoughtful in their design and well crafted in their production. Angus & Celeste will always move boldly into new terrain to design and create products that are thoughtful, useful in their purpose and courageous in their design. Most of the professionals in this category specialise in particular garden and landscape supplies for your outdoor space, from planter boxes to water features. If you’re undergoing an upgrade, they are an invaluable source of knowledge and expertise. A Richmond, Victoria professional who specialises in garden pots and planters, for example, will not only have a broad range of product available, but will know their terracotta, ceramic and concrete pots inside-out – and which one will best work for you!